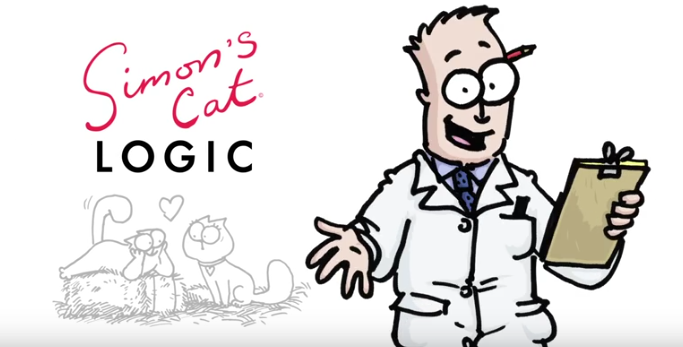 Our behaviour specialist has being spending some time with Simon’s Cat and together they have created a fun new series called Simon’s Cat Logic. Since his first appearance online in 2008, Simon's Cat has attracted a huge fan base with a series of short animations and books that follows the antics of its title character. 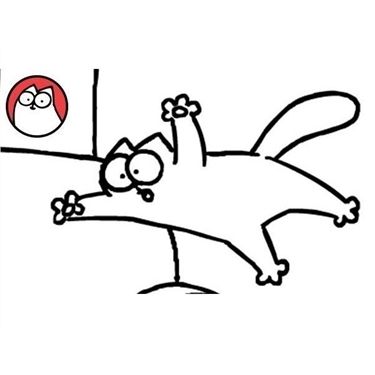 Find out why cats do the silly things they do and behave the way they do, alongside these famous animations. The first instalment, 'Crazy Time', focuses on the ‘crazy five minutes’ that will be familiar to most cat owners. As Nicky explains, the domestic cat shares common ancestry with the African wildcat which has a number of hunting episodes throughout the day. Pet cats live a more sedate lifestyle and need to burn off excess energy – which could be the reason for those mad moments! Watch the video by clicking on the link below to learn more about cat logic and take a look at the Cats Protection blog for top tips. 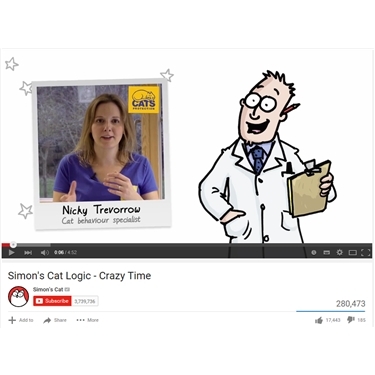 The first video in the Simon’s Cat Logic series, ‘Crazy Time’, proved particularly popular and has been followed up with a new short film in celebration of Valentine’s Day. Titled ‘Love’, a part of the animation focuses on Chloe, a female cat who is introduced as a love interest for Simon’s Cat. The animation also references the importance of neutering at an early age. “Cats can start mating from four months of age which is why we recommend neutering from four months of age” says Nicky.